The Food and Agriculture Organization of the United Nations (FAO) recently launched the new guidelines for incorporating environmental flows into the SDG indicator 6.4.2. The guidelines intend to assist countries in the assessment on water stress by contributing data on environmental flows (EF) which are necessary for the calculation of SDG 6.4.2, indicator on water stress. Assessing environmental flows improves water management by ensuring a sustainable water supply that meets the needs of people, agriculture, energy, industry and the environment within the limits of availability. 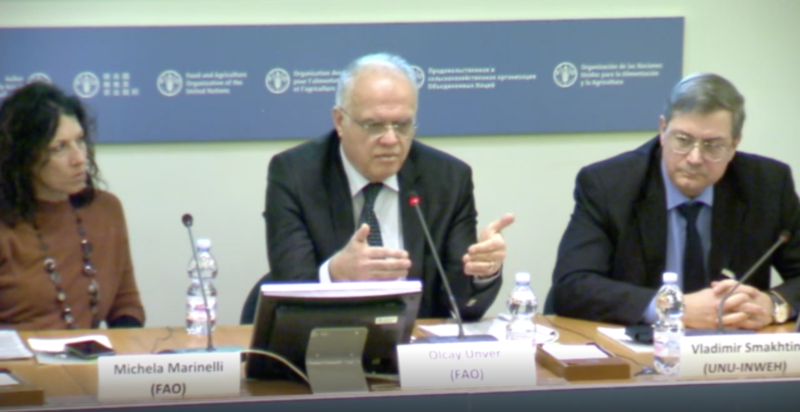 Watch the webcast from the launch of “Guidelines for a minimum methodological standard for global reporting” on how to incorporate environmental flows into “water stress” indicator 6.4.2 here. Get the latest news from UN-Water; Understand what is happening around the 2030 Agenda for Sustainable Development; Interact in our campaigns; Explore newly released publications and where events are taking place around the world.